Article X 4(b) of the Missouri Constitution established three subclasses of real property. Land classified as agricultural shall be assessed for tax purposes on its productive capability. 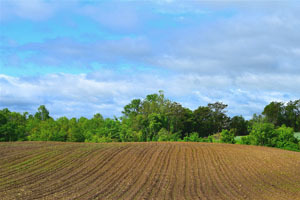 The State Tax Commission is required to establish productive values of agricultural land. The most recent study conducted for the tax commission indicated an increase in productivity values per acre for agricultural and horticultural land. The legislature had 60 days to reject the recommended increase. The values are used universally in the state. The 2015 productivity valuation increase is the first since 1995. Agricultural soil grades of 1 through 8 have been updated for 2015 in Boone County, Missouri. Soil grade changes are based upon the 2011 USDA-NRCS digital soil surveys from websoilsurvey.sc.egov.usda.gov, two foot contours, flood plains and forest cover. Please review the Agricultural Land Grade Definitions document for a definition of each agricultural soil grade and their productivity. Parcel-level land grade acreage information for agricultural properties. Definitions of the agricultural and horticultural eight (8) grades as published by the State Tax Commission. Steps to appeal an assessment - Deadline for filing appeals: Must be postmarked by Monday, June 18, 2018. How does reassessment affect my taxes?